News: SEH Kelly reveals a limited number for knobbly knees - Well Dressed Dad - It is a proper menswear blog. Like, with original words and opinions and suchlike. What with summer seemingly delayed ad infinitum this year, I’m sure the seasons short trousers haven’t been what most of us have been spending much time mulling over. Naturally enough really, as with the current ongoing chill our built-in survival instinct has most of us hitting Google to see what wooly goodness the next Autumn/Winter collection bring us! While we’ve all been looking the other way, the good people of SEH Kelly are busily releasing choice garment after choice garment. 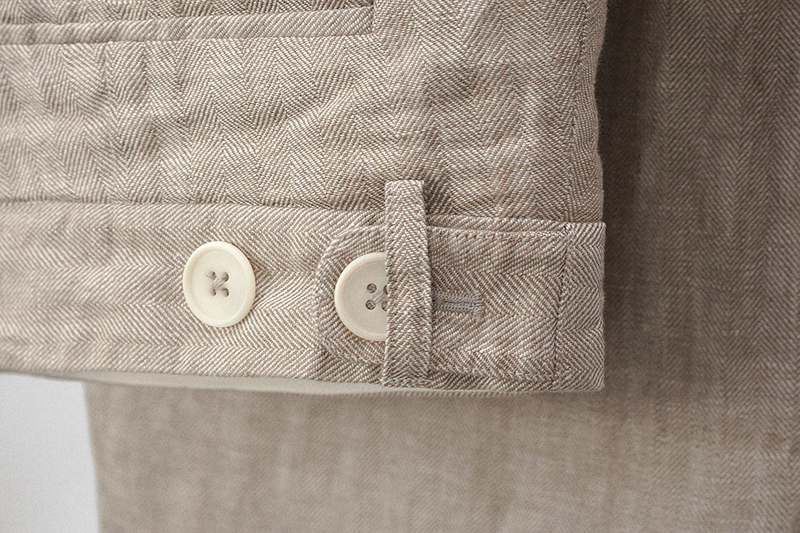 Today I’d like to bring to your attention the linen shorts they almost snuck under my radar. 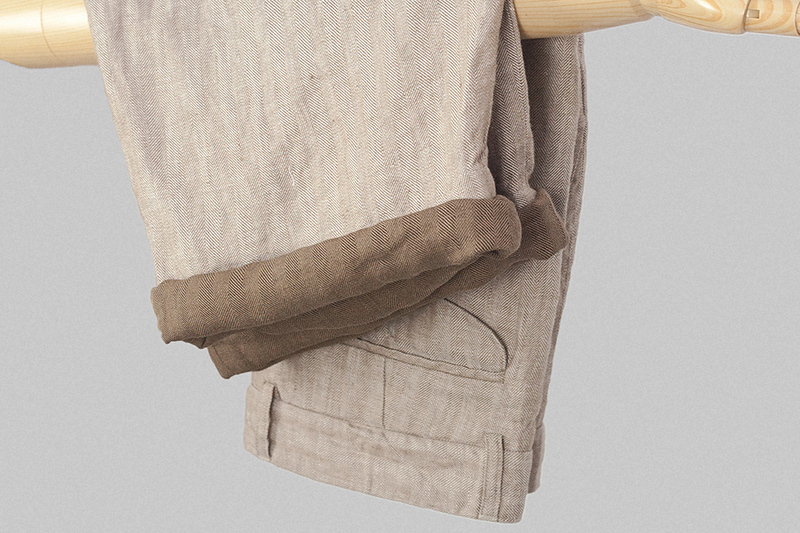 A departure from their regular long trousers, these are long shorts, falling to just below the knee. They have a cinch back, so you can wear them without a belt in a casual style. 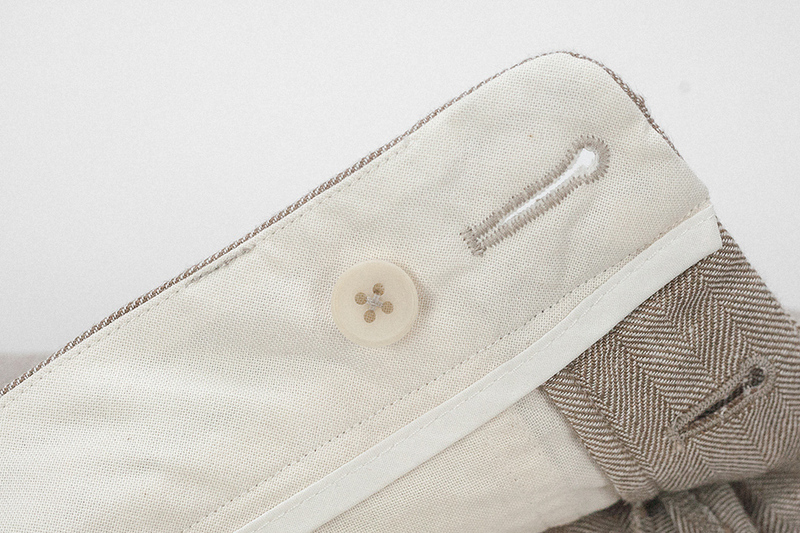 Two patterns of linen are used, the light biscuit herringbone on the outside, and the darker on the reverse. This will give a pleasing contrast when they are rolled up. Up close, it can be seen that the herringbone pattern of the linen comprises ecru and brown yarn on one side, and brown and dark brown on the other. The cloth is thick, has a good drape, and is well-suited to a crumpled appearance. 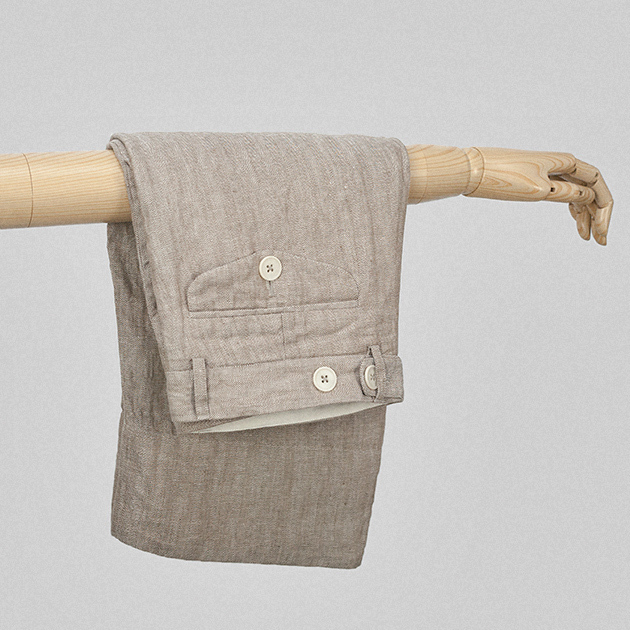 The linen is a mid-weight variant woven in Ireland. In classic SEH Kelly manner we learn that the cloth is made by a world-class linen mill, a few miles south of Belfast in Northern Ireland. The mill was built in the late 1800s, and has over most of its life been world-renowned for its exemplary skills in the spinning, weaving, dying, and finishing of luxury linen and flax yarns. I feel duty bound to mention that the small scale of production at SEH Kelly is becoming a bit of a problem for fans of the brand. Garments are made in limited numbers and once gone, they’re gone. With this in mind, I recommend following them on your choice of social media and pay attention. And if you’re of medium build, don’t hold any hope of displaying your knobbly knees below an upturned leg of herringbone linen this summer, as I scored the last pair available in medium. We are great fans of SEH Kelly, we enjoyed your shop visit post. These trousers look like a great buy.